English Version - 三科かをり　official page! Joy to the wolrd broadway ver. Japanese-born vocalist Kawori Mishina is one of the gospel vocalists with the superior ability in Japan. She plays with many famous Japanese musicians including bassist Getao Takahashi, drummer Funky Sueyoshi, TAIKO drummer Shuichi Hidano and more. In addition, she instructs many students in vocal technique at Yamaha popular music school.  She also has her own choir “KWR Gospel Choir” and is busy director in command of over 200 members. She went to New York in 2008 and showed a performance in many well-known live houses such as the Village Vanguard and then received a standing ovation. The audience gave her a high evaluation. Born in Yokohama Japan, Kawori started out her musical studies at age 4 on piano and belonged to the little singers of Kanazawa. She started carrier as the professional such as back ground choruses while attending university. She was interested in gospel music in various works and participated in the gospel choir in 1998 and distinguished herself by her superior singing ability. In 2000, she acquired the qualification of the Yamaha vocal gospel lecturer. Mr. Yasumasa Awano who is a great master of the Japanese gospel music recognized her superior talent immediately and invited her into a cappella group "Sound Of Joy" which he led. She was in charge of a top soprano, and her transparent high-tone voice won great popularity from audience. This group released two albums from the Yamaha music media and gave many concerts in each place of the whole country. In 2008, Kawori was selected as a vocalist of band "Crystal Jazz Latino" which is led by Getao Takahashi (the bass player who continues leading Latin music in Japan). She appears on many Jazz Festival or clubs positively with this band. At last, Kawori formed her own gospel-oriented unit "AmaKha" (means "a fragrance" in Zulu language) with the bass player Yuji Yajima (who is known as a member of "ISSEI NORO INSPIRITS") in 2010. She pursues her original music with this unit and will plan various activities including the concert, recording in future. Kawori can often be seen performing in some of Japanese famous concert halls and clubs, such as Billboard Live Tokyo, Billboard Live Osaka (former Blue Note Osaka), Blues Alley Japan, Motion Blue Yokohama, and others. Now, she works on the session with the much experience-rich musician and solo live concert of the gospel-style mainly while she plays an active part as a member of "AmaKha", "Crystal Jazz Latino", and female a cappella group "4tune".